CALGARY, AB, Nov. 28, 2011/ Troy Media – Everyone knows social media is free. To sign up, that is. 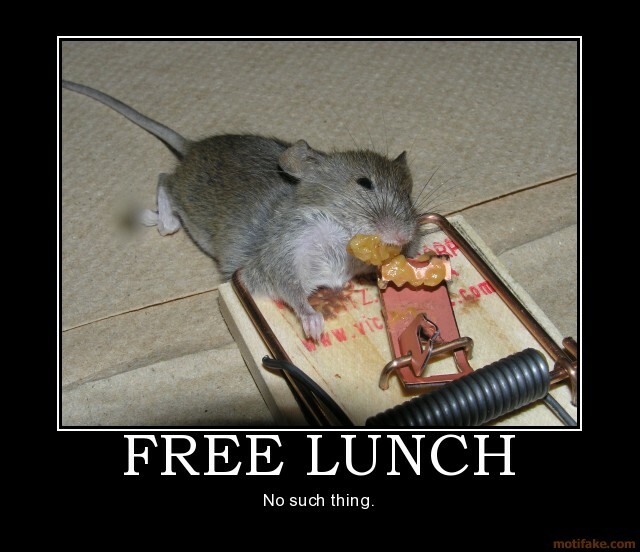 But, as the saying goes, there is no free lunch. If you expect to get something from social media in exchange for little or nothing, you should expect to fail. Facebook is littered with such failures. Spas and tanning salons, pizzerias and REALTORS who excitedly launch a page, post a few spammy messages, conclude they wouldn’t sell anything this way and abandon ship. It’s like throwing a party and then going to bed, either stupid or rude or both. For now I charitably blame it on a lack of awareness, but the honeymoon will soon be over for that kind of digital ignorance. I tell my clients getting into social media is like starting your own little newsroom. Imagine if you started a new magazine next week – you’d need designers, writers, distribution and audience. Social media for business is no different; YOU suddenly become responsible for generating content and audience if you want to make something of it. Or die the slow ignominious death of a zillion magazines before you. Your first tweet, blog or Facebook post is a humbling exercise in facing the blank page and total anonymity. You have nothing to say and they don’t care. And that’s where the investment comes in. For people like myself who grew up working in media, the idea of a content factory seems normal. Stories don’t make themselves. People dream them up, work like crazy to create them and then set them free in the hopes the audience will respond. All on intense deadlines. Most folks, however, don’t operate like that and don’t anticipate the commitment content marketing will take. The way you build audience is with great content which requires writers, photographers, illustrators, videographers, interviewers and so on. Feed a little content into the system, engage some folks likely to be interested in that content, build a little audience and conversation, rinse and repeat. Forever. The question of how many resources to devote to social media comes up almost every day with my clients. Of course that’s a bit like saying how much should we spend on advertising, but I’ve settled on an answer that seems to work. The Ultimate Answer to the Ultimate Question of Life, The Universe, and Everything (apologies to Douglas Adams​) is one. Yup – one, un, uno, eins, singulario (okay, I made that last one up). As in one full time equivalent human being (FTE for those of you heading off to a meeting with HR). I generally recommend it be one individual, but you can get away with slicing it into a few half or third-time roles. Basically someone has to be the “managing editor” of your new publishing empire – the traffic cop of content. After all, you just launched a magazine (blog), a television station (YouTube) and a radio station (podcast) so someone has to keep track of filling all that dead air, right? And that’s just the beginning. That one person will need help from colleagues, freelancers, agencies and maybe industry associations to create content. Some of that will cost. Then they will spend time finding pre-existing content to share (“curation”), and don’t forget engagement – hopefully people start responding to all this publishing and conversation ensues. For the average good-sized enterprise this starts to look like about $150,000 – $200,000 per year, or its equivalent in effort. The good news is, this can be a lot less expensive than other forms of marketing, and a lot more track-able. But it ain’t free, so start budgeting or produce the emptiest, loneliest blog ever, which I’m guessing is not what you were aiming for.